Zen Cohen received her MFA in Art Studio at the University of California at Davis and her BFA in Media Arts from the California College of the Arts in Oakland, CA. 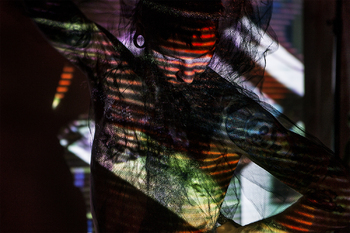 Her work has been seen in venues such as the Yerba Buena Center for the Arts, SFMOMA, de Young Museum, Centro Atlántico Arte Moderno, ARTSpace New Haven, Vanity Projects, Center for New Music & Audio Technologies at UC Berkeley, Recombinant Media Lab, SOMArts, Krowswork, and Artists Television Access (ATA). In 2013, she was awarded a Media Arts grant from the San Francisco Arts Commission to help support the completion of a documentary project that will screen at the deYoung Museum this summer. She has also curated film/video screenings and group installation shows at the Climate Theater in San Francisco. Her art practice utilizes video in combination with photography, sculpture, costuming and performance. Additionally, she works as a freelance videographer, editor, photographer and art director. Zen has been presenting Trangress in collaboration with artists Zoey Vero and Colton Long at our ART+TECH Festival "MOVEMENT".